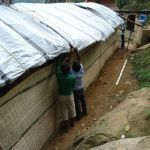 Here is a brief update from Nepal with news on some of the community based recovery programmes we have been supporting with funds raised via Room 13 International. 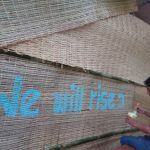 We aim to distribute the funds we are collecting widely, making small amounts available for locally based organisations to invest as they see fit. This way, we are happy that we can support communities to address a range of issues they have identified from physical needs and infra-structure to social and emotional wellbeing. 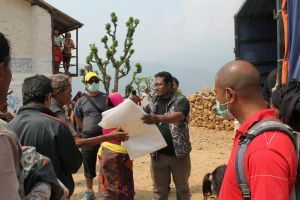 In the immediate aftermath of the earthquakes, Shanti Griha volunteers and staff organised distribution of tents and temporary shelter to survivors in stricken villages, working their way outwards from their organisation base in Patan, in the Kathmandu valley. 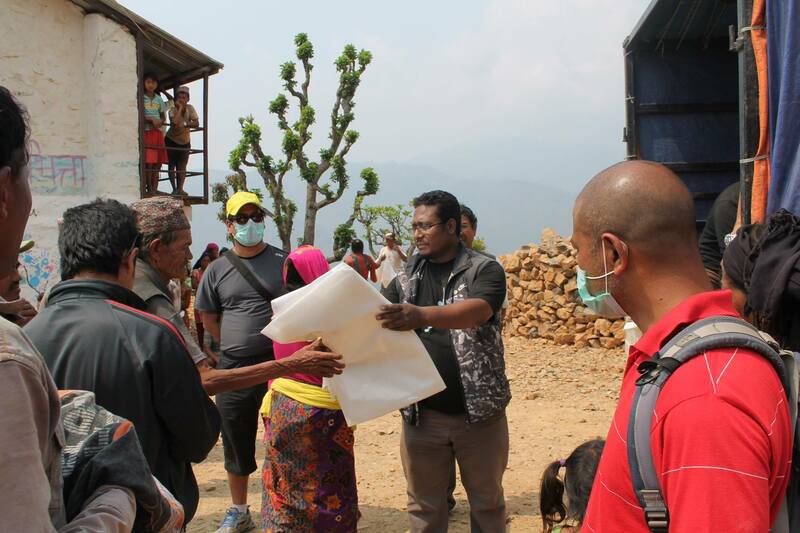 They are also providing water and masks in other areas, working to compliment the support provided by ctw (clean the world earthquake response effort) who are also providing food and shelter. 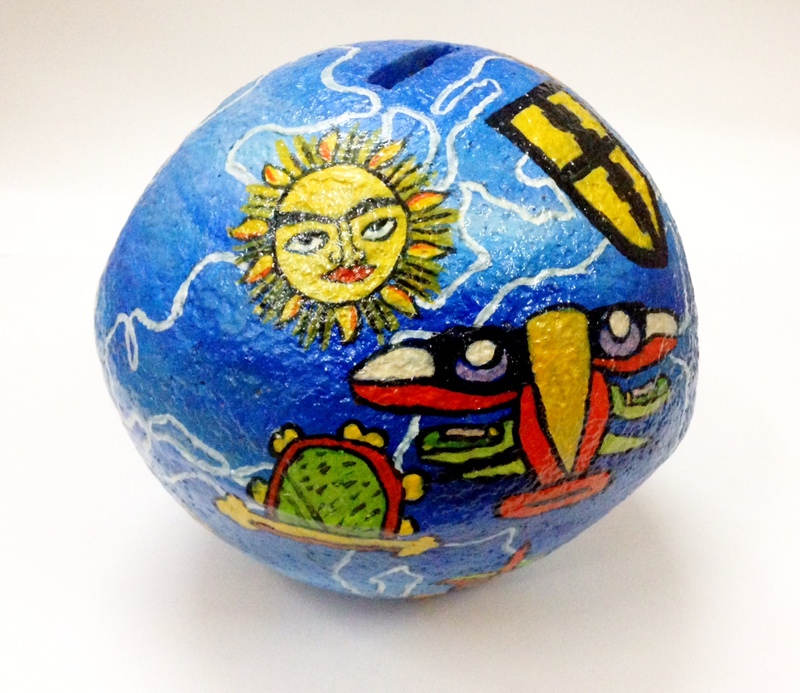 Our support for Shanti Griha will provide relief to lots people directly hampered by the earthquakes. 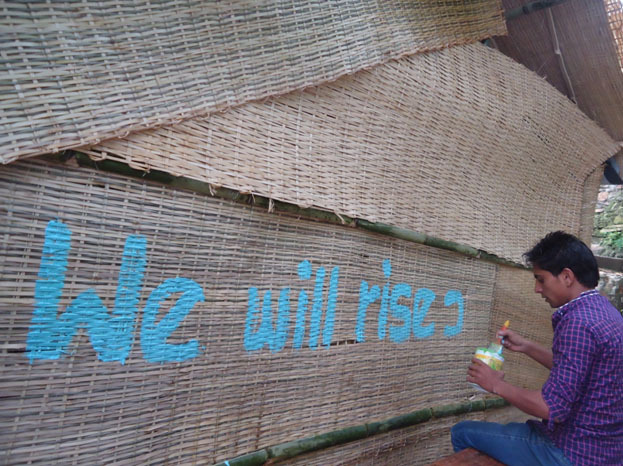 Orion Training Center, a skills development and vocational training center, Lekhnath, Pokhara, Nepal: Re-Establishment Program for Earthquake-Hit Schools. 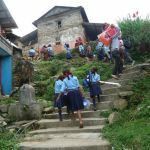 Since the government is busy in immediate rescue and relief operations in the most affected regions, they have not been able to provide necessary aids in the schools that have been destroyed. 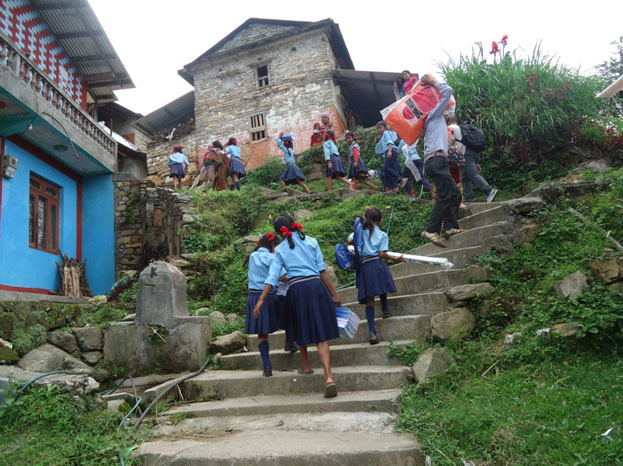 Orion Training Center aim to re-establish schools in Kaski district by providing temporary classrooms to urge the students to attend their classes. They will combine this with conducting awareness programs to address the trauma and stress resulting from the deadly earthquake. After visiting the affected places and learning the traumatized condition of the children all across the district, they have come up with a plan to set up temporary classrooms constructed out of local materials like bamboo, mud, stones, timber including plastics and tents. 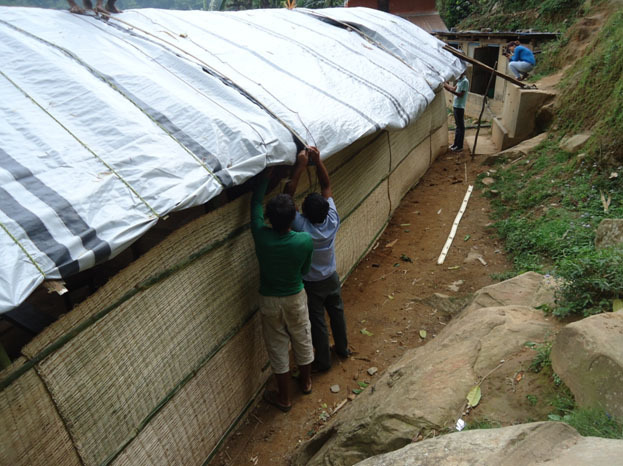 The same classrooms can be used by the villagers as a shelter for their safety in the event of further quakes. Many parents are still hesitant to send their children to schools, and the children have naturally become more vulnerable to fear, depression and the tendency to get easily frightened, thus losing self-confidence. Orion Training Center has been granted official permission by the District Education Office to launch this program so as to restore the educational activities of the district, and train teachers how best to handle their students traumatized by the quakes by providing psycho-social counseling to help them get rid of the fear and enjoy their time at school. Thank you to the friends and supporters of Room 13 International who have contributed in support of these efforts so far. We are continuing to collect and distribute donations post updates on the activities as we receive them. The recovery process for Nepal will be a long one and we are counting on the wealth and wisdom of our global community to carry on supporting these local initiatives. A youth team from Scotland visited Nepal in October 2011. 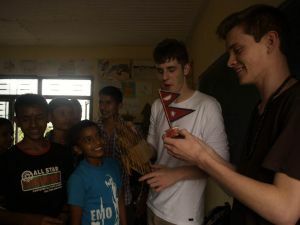 The team travelled overland through Kathmandu, Pokhara and Chitwan to conduct arts & creativity training workshops with the Nepali youths responsible for new and developing studios.